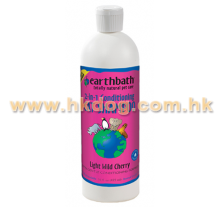 earthbath specially formulated this gentle 2-in-1 conditioning shampoo for our finest furred feline friends. pH-balanced for mildness, this luxurious shampoo contains the finest blend of natural cleansers, supple conditioners, and aloe vera. Natural conditioners and aloe vera soften the coat, re-moisturize the skin, and add manageability, brilliance and shine. 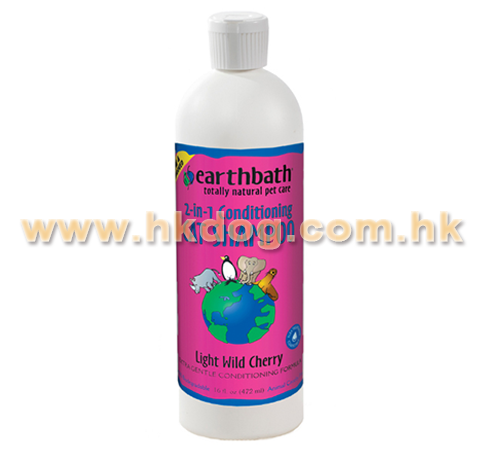 Our ultra-mild coconut-based cleansers and the subtle scent of wild cherries will leave her smelling fresh and deliciously clean. Will not wash off topical flea applications. Safe for all animals over 6 weeks old. To encourage peaceful co-existence in multi-cat households, use our Fragrance Free Hypo-Allergenic Cat Shampoo.